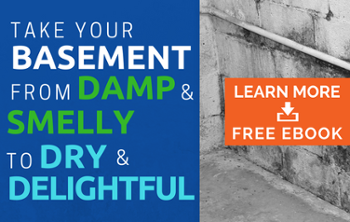 A damp basement can create a musty smell throughout a home. What is the cause of the musty smell? 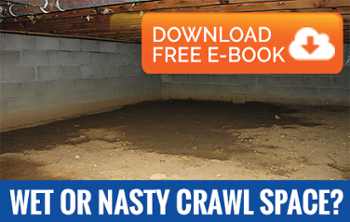 It's possible basement mold growth is causing that musty basement odor. Basement mold growth can lead to health problems when the mold spores circulate throughout the home. It is important to keep basement moisture levels in check, elevated levels of moisture in the basement lead to mold growth. Mold growth can also cause structural damage. If you are having moisture issues in your basement it is important that you hire a professional to eliminate the problem. Call us at AdvantaClean of Stamford CT today (203) 819-7077! Many basements are prone to excessive moisture due to a variety of construction and environmental factors. The most common issues we find are ineffective grading around the home, a lack of properly functioning gutters or downspouts and inadequate ventilation. Before you try any basement moisture solutions, it’s essential to first correctly identify the source of the issue. AdvantaClean of Stamford’s professionals are trained to accurately diagnose the source of excessive basement moisture, after which they will begin formulating a plan to properly address your Stamford moisture control issue. Basement ventilation systems condition or exchange the air in the basement to regulate temperature and moisture content. These systems may work off of exhaust and intake fans, dehumidifier systems, or a combination of both. Exhaust and intake fans exchange the air in the basement with fresh air from outside of the home when the conditions are favorable. Basement dehumidifier systems may be necessary in excessively damp basements, or where outside air exchange may not be possible. Installing a basement dehumidifier system removes excess moisture from the air. Both basement dehumidifier and ventilation systems work to dry and circulate air throughout the basement to create an environment that does not contribute to mold growth, eliminating that musty basement smell. AdvantaClean can diagnose your basement moisture control and basement mold issues by properly identifying, recommending and implementing corrective actions. Our basement ventilation system experts and mold specialists can perform professional mold remediation in conjunction with addressing the basement moisture source-- from simple repairs to comprehensive basement ventilation systems and basement dehumidifier installations. Call AdvantaClean to learn which services and solutions are best for you!